Removal ProcedureRelieve the high side fuel system pressure. Refer toFuel Pressure Relief. 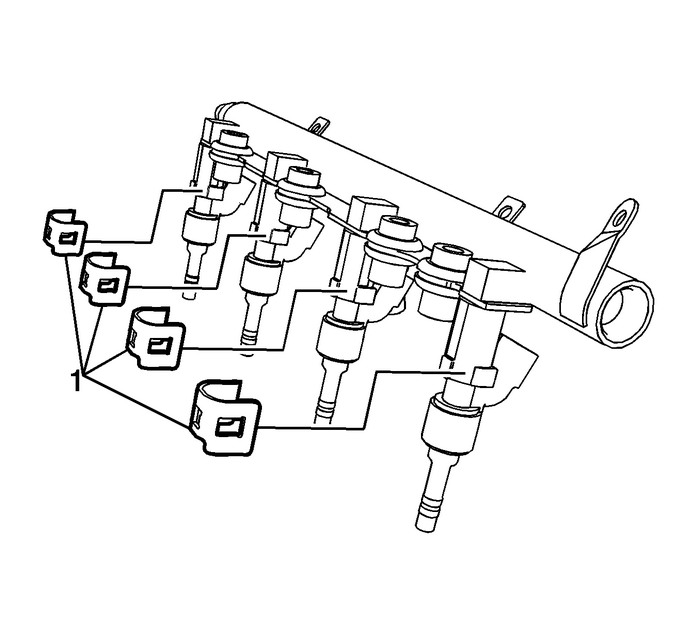 Note:The fuel injectors have an alignment feature, note theposition of the injectors alignment for installation. Remove the fuel injection fuel rail assembly. Refer toFuel Injector and Fuel Rail Replacement. Install NEW fuel injector retainers-(1). Note:The fuel injectors have an alignment feature and must bereinstalled as noted during removal. Install the fuel injection fuel rail assembly. Refer toFuel Injector and Fuel Rail Replacement.